Landscape Workshop is a full-service grounds management company that has been providing professional service and expert maintenance for outdoor commercial spaces for more than 30 years. Landscape Workshop’s goal is to help its’ customers achieve business goals, maintain property value, and attract customers and tenants. 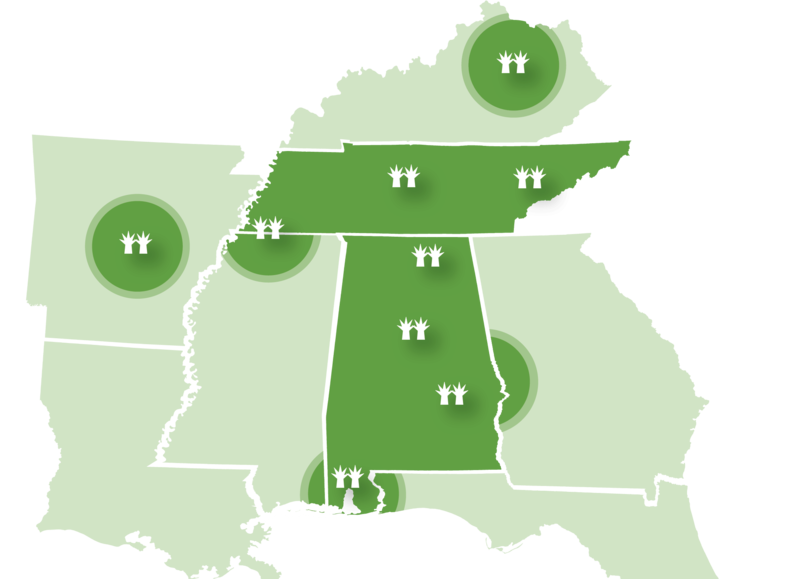 Landscape Workshop has the ability to serve properties throughout Alabama, Arkansas, Kentucky, and Tennessee, as well as parts of Georgia, Mississippi, and the Florida panhandle. Our customers don’t need to know the difference between bahia and bermuda or fusilade and fescue; they simply want to enjoy the beauty of their property. And that’s exactly how we like it. We have the deep expertise to navigate the intricacies of horticulture, and the passion to do the hard work necessary to maintain our position as THE premier grounds management company. When someone sees the green hands on our trucks, our clothing, or our building—they see a level of trust, expertise, and environmental artistry that has no rival.